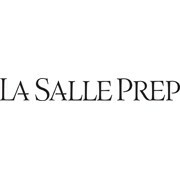 La Salle Prep's got a great name and reputation. In an effort to maintain both, we've set graphic standards for all publications and items that want to use La Salle's name. 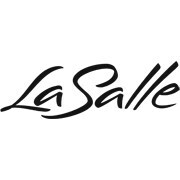 The goal is to make sure La Salle's name, image, and logo are used consistently and responsibly on all items and apparel, and in all publications. 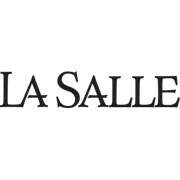 Groups may design materials, but anything that uses the La Salle Prep logo or name (in full or abbreviation) must be approved before production. La Salle school colors are: Pantone Matching System (PMS) royal blue (PMS #286) and red (PMS#199). 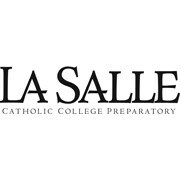 La Salle – please be certain La Salle is clearly two words and include “Catholic College Preparatory” or “Prep” when appropriate. 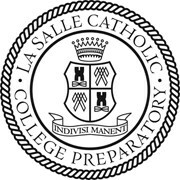 Please note La Salle Catholic College Preparatory, La Salle Prep and La Salle may be used for the school, but “La Salle High School/High” is NOT acceptable. 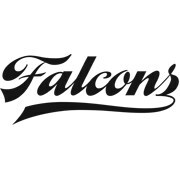 For example, La Salle Basketball, La Salle Falcons and Falcon Basketball, are all acceptable. The approved font to be used with the La Salle Prep logo is Centaur. Exceptions to the above guidelines must be approved by the Office of Advancement before production. Contact our office at info@lsprep.org. Student designs and contests may be used for merchandise, but must conform to the guidelines outlined above. 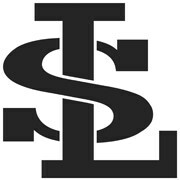 Athletic uniforms are the property of La Salle Catholic College Preparatory and must be approved by La Salle’s Director of Athletics Chris George before production. Uniforms that do not meet the graphic standards outlined in this guide must be also be approved by the Office of Advancement before production. Contact our office at info@lsprep.org. “La Salle: A high school to believe in. Investing in college-bound students since 1966. Believing in students every day.” “Enter to Learn; Leave to Serve.” “Where students are nurtured, loved and educated.” “La Salle is a Catholic High School in the Distinguished Heritage of the Christian Brothers.” Proper spelling of common words: Lasallian, St. John Baptist de La Salle, De La Salle. Trajan is recommended for headlines. Garamond Premier Pro is suggested for copy and subheads. Pantone Matching System (PMS) colors are royal blue (PMS #286) and red (PMS#199). 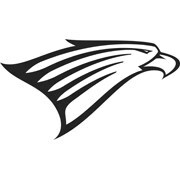 Inspired by St. John Baptist de La Salle, La Salle Catholic College Preparatory develops students of faith, service and scholarship by providing a transformative education allowing students to realize their maximum potential and use their gifts to serve Christ and humankind. The La Salle community inspires students to find their voice as global citizens, to put their faith into action and to lead exceptional lives of integrity, honoring the God-given dignity of all. School letterhead should be used for all professional communication. Below you will find zip files containing original and vector based versions of the various La Salle logos. The images below only represent the black logo located within each zip. Each zip generally contains all the colored and graphical varients of the displayed logo. Please note that many of these files are large.